Heifer Heist kickstarter is live! We’re proud to announce that Heifer Heist, the winner of the Volition sponsored 2014 CUDO Plays board game design competion, now has a kickstarter in place as part of their prize package. Supporting the kickstarter gets you a copy of the board game and all sorts of other cool extras. 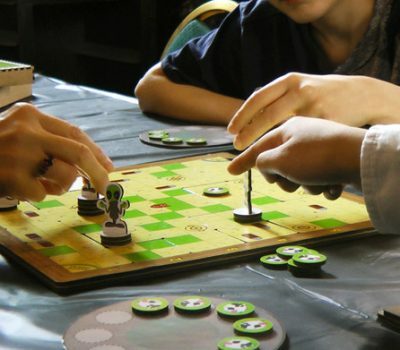 CUDO Plays is the very first board game design competition from CUDO (Champaign Urbana Design Organization.) Volition sponsored the competition, covering the event and marketing costs, offering up meeting space and resources, and judging all the entries with a team of our designers.